Information is critical, and one of the key problems commercial players have when it comes to researching, designing and building gigabit connectivity is understanding what assets are already available, and how local authorities can make them available. The problem is much wider than just agreeing wayleaves and road closure notices. 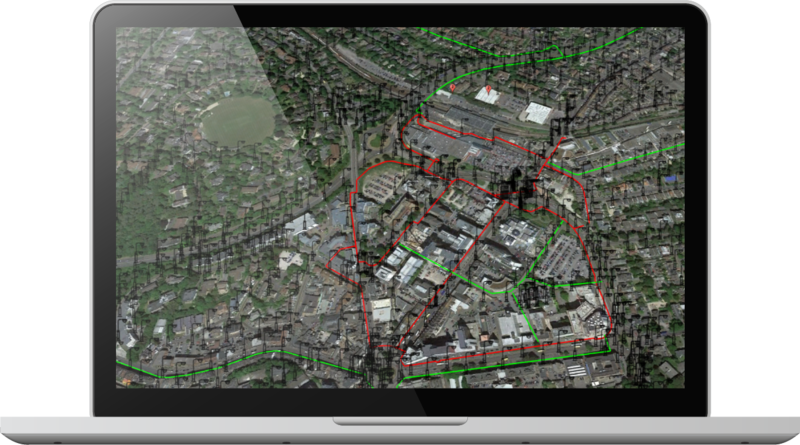 Effective GIS mapping of assets and making these available via a secure portal to third parties means that everyone is much better informed about the location, nature and type of asset available. Standardising access to these assets across multiple local authorities means less work for the commercial operator, and a more streamlined and better understood process. This in turn will lead to more engagement and better, more thought-through commercial investment in the area. Having ready access to maps of Public Sector assets, including fibre/duct networks means that unnecessary civils works will be avoided, and wayleave processes will be more streamlined. The system will also be capable of demonstrating where there is demand in a given area for connectivity, so Service Providers can use this information along with the available Public Sector asset info to tailor their network design. Adding in mapping data on relevant Public Sector buildings, key business and residential areas will enable more effective and scalable commercial investment. Making more effective use of Public Sector fibre/Duct assets will help the business case for third party investment by reducing overall civils costs where they overlap with the Public Sector fibre. The solution will not only provide automated ordering, but also help local councils develop the important, standard processes they need to allow access to their assets. These processes can then be shared across other councils and Public Sector bodies to ensure standard access, and ensure that third parties who wish to use council assets are not hindered by having to spend extra time and resource understanding how each council operates. Need to know some more information? Have you tried our resources page?